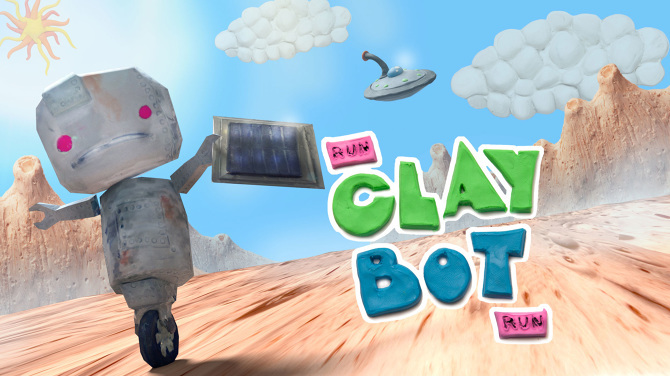 Clay Bot is a running, multitasking game in which a robot struggles to get to the right side in the harsh martian environment. He is not rescuing a princess, or doing anything useful. He’s just being a robot. All of the world within the game was made with real clay and later scanned, which gives it a very distinctive visual style. Clay scanned to look like metal, stone and more. Claybot is a videogame for Android throught the Google Play Store.